I was asked to translate this pattern - Beth it's for you (I know, it took me a long time - sorry). I apologize for my poor English, I hope, that everything will be clear. 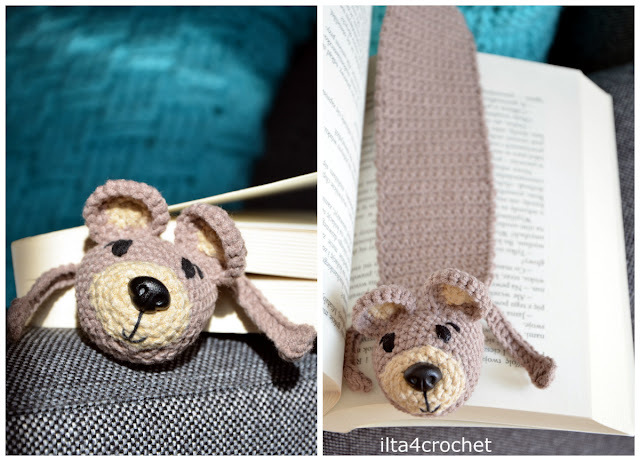 I created pattern to a tedybear crochet bookmark on the canvas of the pattern: http://www.supergurumi.com/amigurumi-crochet-rat-bookmark . Head work in continuous rounds and the fallowing part in rows. If you decided to use a safe eyes or nose then you must mount it now, before closing head. 17. If not, then stuff your head, then put your head in half and close the hole making seven sc - each one we put under the opposite two stitches (see photo). Next, one chain stitch, turn. Then, with hdc "we are going back" on the chain making in total 11 hdc. Be careful that the chain does not twist. 21. 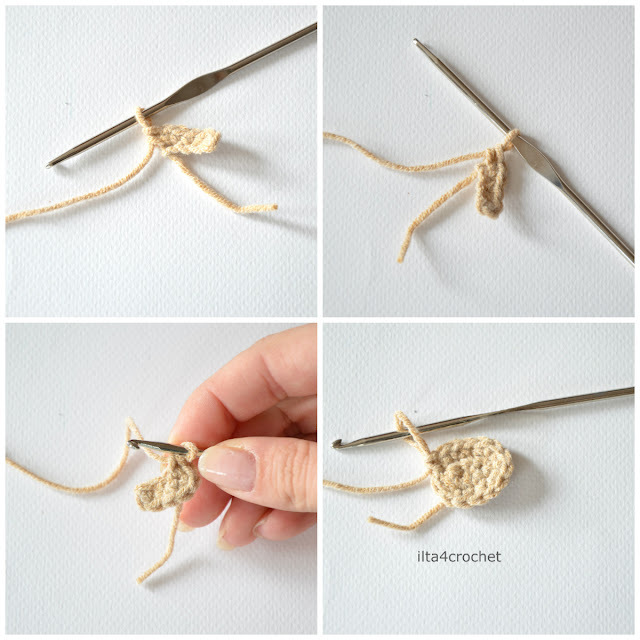 11 sc along the body, next crochet the second leg in the same way as the first one. 24.-76. Each rounds 13 sc, 1 chain stitch and turn. 79. 11 sc, sl st.
We tie the remaining tails and hide them. 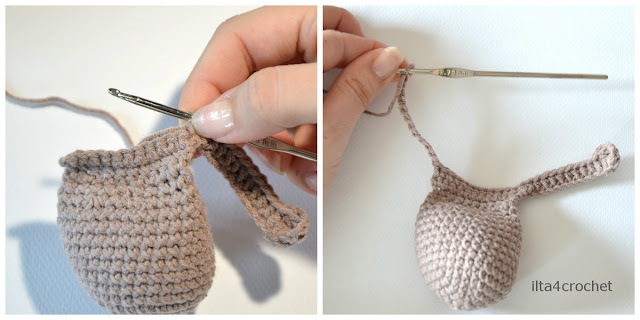 In the second stitch counting from the crochet make 2 sc, next 1 sc in next stitch and 3 sc in last stitch. Next step is t go on the other side of the chain (we make around the initial chain) make 1 sc and 1 sc in last stitch (8). We sew the muzzle and the ears to the head, we embroider the eyes.